Colin Ellard | Vancouver Bound! I’m just packing up for a few days in Vancouver. The main feature event of my trip is this discussion with well-known architect Ian Ross MacDonald on the topic of relationships between architecture and neuroscience. It was being advertised as a “collision” but now I see that it is an “adventure.” I like adventures more than collisions, so this pleases me. I’m still trying to figure out exactly what I want to say there, but to me the most important question is whether a neuroscientist can learn things about how the brain works that can be of use in architecture or urban design—things that would be unusual or difficult to have been able to learn in any way other than through psychological or neuroscientific methods. I think the answer to this is “yes” but I’m really curious to hear the range of points of view that might be represented at this event. I hear that there are still tickets available, so if you’re in Vancouver on Thursday November 21 then come chime in. 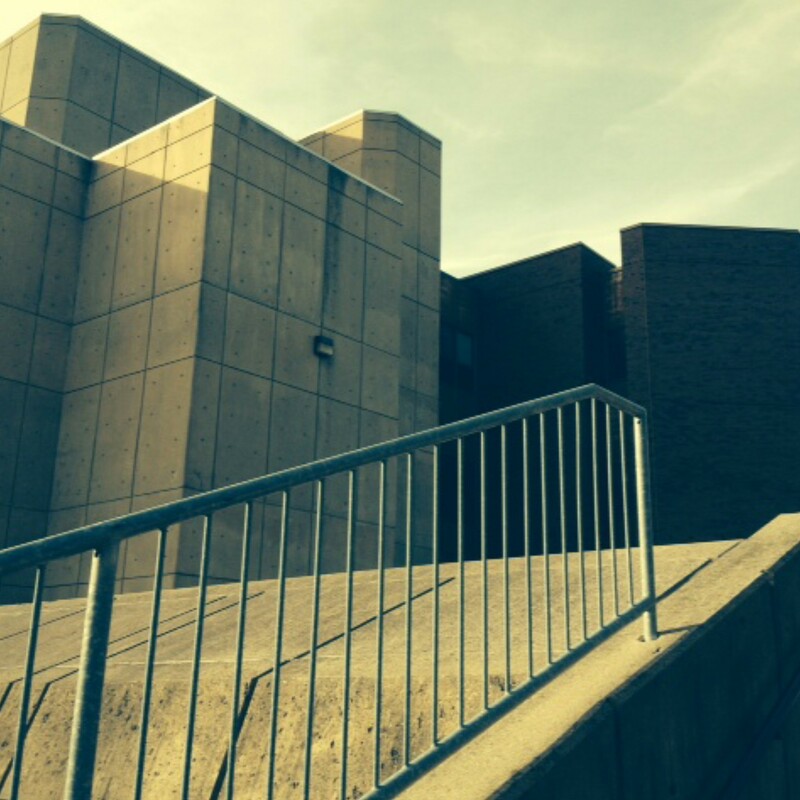 By the way, the photo above is a snapshot that I took of the outside of my building at the University of Waterloo. Ugly, no? Does what we know about visual perception help us to understand why we think so? Maybe.